WHAT CAN I DO ABOUT MY STUDENT LOANS IN A ST LOUIS BANKRUPTCY? As a general rule, student loans cannot be discharged in a St. Louis bankruptcy. This is true whether the filing is a Chapter 7 or Chapter 13. However, in a St. Louis Chapter 13, you are not expected to make any student loan payments while the repayment period is in affect. When you file a Chapter 13, the court describes it as a repayment plan. This repayment plan pays back certain creditors over a period of between three and five years. Examples of what is repaid would be: arrearage on a mortgage (i.e. the amount that you have fallen behind on); a car loan (repaid at a much lower interest rate); and back child support. Most unsecured debt (like credit cards and medical bills) is discharged (and therefore not repaid). But when it comes to student loans, the main benefit of the Chapter 13 is that you do not have to make any payments during the life of the plan. So if you are in four year repayment plan, you do not have to make any additional payments to the student loan companies for four years. This in turn gives you a sort of “deferment” for the next several years. Once the repayment plan (during which you pay off things like a car loan) is over, you can then begin picking back up regular monthly payments on the student loans. A St. Louis Chapter 7 does not offer the same sort of protection against the student loan companies. Once the Chapter 7 is complete (usually within three to four months after filing), the student loan creditor will come knocking on your door. And if you do not work out some sort of arrangement with them, they will most likely garnish you wages (which they can do administratively, without a court order), or intercept your tax refunds. But again, in a Chapter 13, this is something they cannot do. 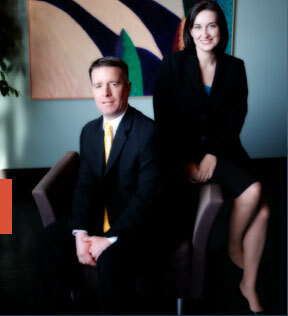 A St. Louis bankruptcy attorney with knowledge of how certain debts are handled can fully explain this option to you. Our lawyers and staff at Brinkman & Alter, LLC take deep pride in our commitment to making sure that you understand your full range of options, that all of you questions are answered, and that you are put back on the road towards financial success. We have two main offices: in the Central West End of St. Louis, at 1 North Taylor, 63018; and the Twin Cities of Festus / Crystal City, at 1000 Truman Blvd (Highway 61/67), 63019. The initial consultation to discuss your case is free of charge. So call today to learn more! !